When building the tallest buildings, the longest bridges and the biggest airplanes, people put their trust in the market-leading measurement and surveying solutions from Leica Geosystems. Our employees develop, produce and distribute what our customers count on, day after day: innovation, precision, reliability and efficiency. More than 250 Engineers are working on the development of the next generation surveying solutions. Reliability and precision of our measurement instruments is our mission. We offer cutting-edge technology projects with challenging research and development tasks, a location with a high recreational value (fantastic for mountain and water sports), competitive compensation packages, and 25 to 30 days of vacation per year. Childcare centers, baby bonus and one week paternity leave are also part of our attractive compensation packages. You can benefit from our generous pension and insurance schemes as well as our early retirement model. In addition, we offer flexible working time and support relocation and integration of our international employees. Our headquarter is close to public transport. Join our international teams and celebrate the team successes at various offsite team events. Are you a hands-on, creative, dynamic thinker who is driven to achieve results based on your own initiative, while working effectively within a team? please apply today! Urs Nef, HR Manager (+41 71 727 3023) looks forward to receiving your online application. 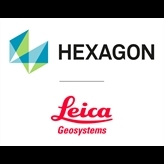 Want to get notified about new jobs at Leica Geosystems AG?